Last month, here in Financial Regulation Matters, we discussed how the leading tobacco companies had increased their presence in Washington, D.C., since the arrival of Donald Trump, which went against Trump’s ‘drain the swamp’ campaign trail mantra but also revealed that the industry had recognised the need to undertake an increased and concerted lobbying campaign. This recognition was this week confirmed as an astute recognition because, on a number of fronts, the industry is being put under incredible pressure. So, in this post, the focus will be on assessing this new environment for the industry in order to question whether the industry even has a future at all. The global market for cigarettes alone stands at $700 billion, according to British American Tobacco (BAT), which represents an increase despite the fact that global cigarette consumption has been reducing year-on-year. Yet, in the modern age, it is obvious why the industry would want to protect that level of growth as much as possible, particularly with decreasing support for the practice of smoking in many of the industry’s traditional consumer bases (like Europe and the United States – the issue of geographical consumer bases will be covered shortly). With that in mind, the concerted effort to lobby Trump’s administration for support is an expected move and, if we look at the makeup of his administration, it seems as if the efforts are paying dividends. Yet, in just one of the many interconnected stories in this post with regards to negatively affecting the industry’s position, the U.S. Food and Drug Administration (FDA) announced recently that it would be seeking to cut the amount of nicotine in the industry’s products, which led to an immediate reduction in the share-prices of the industry’s leaders. Citing the negative effects to the health of those that smoke or passively inhale the smoke of cigarettes, the Commissioner of the FDA suggests that the number of those that die from cigarette smoke-related illness will fall dramatically as a result of the reduction in nicotine, a sentiment which was agreed by interested onlookers: ‘non-addictive levels of nicotine would likely mean a lot fewer smokers and of those people who do still light up, smoking a lot less’. The massive blow to the future earnings of the industry is perhaps the largest threat to an industry already facing massive financial pressures, perhaps evidenced perfectly by the effect that plain packaging is currently having upon British wholesalers – a recent example is currently hindering the Tesco purchase of Bookers, a merger we have discussed before. Yet, whilst these stories of regulator-driven reductions in income and concerted lobbying campaigns portray an industry under siege, the propagation of analysis regarding how the industry has sought to keep its profits high is potentially the most damaging aspect to the industry’s future. If we look at some statistics from the World Health Organisation (WHO), the WHO are clear that the agencies have moved their focus, stating that ‘the prevalence of tobacco smoking appears to be increasing in the WHO Eastern Mediterranean Region and the African Region’. Writing in The Lancet, a number of researchers clarified this trend, confirming that ‘to drive up sales the industry markets its products heavily, deliberately targeting non-smokers and keeps prices low until smoking and local economies are sufficiently established to drive prices and profits up’, with a specific focus on the poorest countries in the world being noted. Yet, whilst this is clearly detestable, the process of how the industry is undertaking this awful practice is the latest cause of pressure for the embattled industry. 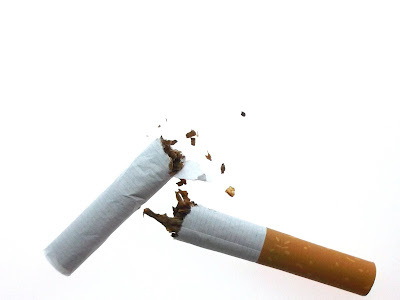 The WHO reported recently that even though progress is being made in these poorer countries against the onslaught of the tobacco industry, the industry is conducted such an intertwined and political campaign that increased rates of smoking are a near certainty in poorer regions (most prominently in the poorer regions in Africa). In furtherance to these developments, The Guardian recently reported that BAT, and their rivals Philip Morris International, have been conducted a concerted campaign of intimidation against governmental officials from these African countries, threatening domestic and trade lawsuits if anti-smoking measures were put in place. One of the most potent tools at the industry’s disposal is to threaten an economic sanction to these poorer counties who have become, somewhat, dependent upon the money that smoking-related taxes and tobacco production brings in – a study recently into the situation in Malawi confirmed that the industry had threatened the country with substantial job-losses, which in turn coerced the country into lobbying for the industry during United Nations meetings. These incredible modes of operation, which in fact increase the poverty rates in the given countries, arguably leads one to suspect foul play, and a recent development almost confirms such. On a number of occasions here in Financial Regulation Matters we have discussed the Serious Fraud Office (SFO), and now the Office is pursuing BAT regarding allegations of bribery and corruption in Africa, which seems to tie-in perfectly with the facts above. It is being reported that the SFO investigation is based on a whistle-blower’s reports regarding his paying of bribes to the Kenya Revenue Authority on BAT’s behalf, whilst he also claims bribes were paid to officials in Burundi, Rwanda, and Comoros. After a particularly malicious PR campaign against the whistle-blower, BAT has now softened its stance, which leads one to believe that the company is of the opinion that any punishment will be softened by a softer rhetoric. As the investigation continues, the SFO is being encouraged to punish BAT is guilt is found, and it is difficult to argue with that position. Ultimately, the tobacco industry is staging its last fight. The move away from developed markets to those where the industry can affect the policies of the governments is a clear sign that an emphasis is being placed in extracting as much as possible whilst the opportunity exists. Rather terribly, the weakened positions of certain governments in the developing world means that tobacco companies will have successes with this approach, but the increase in global analysis of the new business model is already paying dividends – the proposed reduction in nicotine levels within cigarettes and the SFO investigation into corruption are extremely positive indicators. Yet, these indicators must become reality and kick-start a chain of events which see the industry held to account; it is simply not acceptable that the lives of the poorest people in the world are seen as expendable and a last reserve in the extraction of profits at the cost of human life. The FDA’s proposal, in light of the successful implementation of a number of industry-leaning members of Trump’s administration represents, arguably, the most intriguing factor within these recent developments – if, and it is a big ‘if’ the FDA can withstand lobby-backed pressure and enforce the lower-nicotine levels in cigarettes, the FDA will most likely be responsible for starting a chain of events which sees global tobacco consumption largely eradicated.